While I can't attest to it's authenticity, it looks legit in the photos - enough to want to go have a closer look. 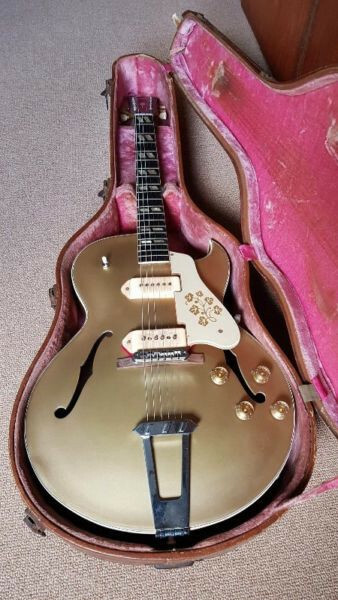 As with the Scotty Moore guitar it's long wraparound trapeze bridge has possibly been replaced with a trapeze and tune-o-matic bridge for more precise intonation. However I do not see any marks where the original trapeze could have been attached. The pots have been replaced but the originals are in the original case. Its P90 pickups are great sounding and perfectly balanced. The paintwork was beautifully restored .